It is with great sorrow that City Ballet announces the passing of our beloved Jacquelyn Littlefield, owner of the Spreckels Theatre – City Ballet’s home theater. Jacquie was a great lady and a true patroness of the arts. At the age of 24, she inherited the leases of the Spreckels Theatre and other theaters in San Diego as movie houses in 1946 upon the death of her father. Thus, her guardianship of Spreckels Theatre began. She eventually bought the theater in 1962 and after numerous attempts by developers to have the theater and building torn down for civic development, Jacquie was able to have it declared a historical site. Jacquie was a very special friend and patron of City Ballet when we first began performing in the Spreckels Theatre in 1995. We loved that she considered City Ballet ‘her ballet company’. From the beginning, Jacquie felt strongly that City Ballet belonged exclusively in her theater. In 2009 City Ballet became the resident ballet company of Spreckels Theatre. This happened largely because of her vision and belief in City Ballet. We are so thankful for her love of the ballet. Until recently, she rarely missed a production. Her presence will be deeply missed by all – her family, friends and her City Ballet family – Board of Directors, staff, dancers and musicians. To Jacquie, your spirit lives on in your beautiful theater! fourPAIR, choreographed by Geoff Gonzalez, is an exploration of relationships and partnerships in four consecutive duets set to Debussy's Suite Bergamasque. Each coupled dance expresses the way in which one individual suitably finds a piece of themselves in their counterpart. Rehearsals for Mozart’s Requiem are underway! Elizabeth Wistrich’s Requiem alongside Geoff Gonzalez’s four PAIR and Battu will be performed May 10-12 at Spreckels Theatre. Visit www.cityballet.org/performances/mozarts-requiem/ for tickets and more info. Photography provided by Chelsea Penyak, Dale Stokes and Carly Topazio. The photography on this website depict choreography copyrighted by the individual choreographers. Videography provided by Gary St. Martin of Convention Video. Choreography by George Balanchine is copyrighted by The George Balanchine Trust. 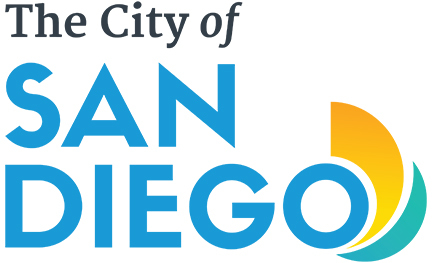 “City Ballet of San Diego” and the block letter logo are copyright trademarks of City Ballet, Inc.